All applicants for positions within Serenity Security are subject to British Standard 7858 screening and vetting standards. From 1st of January 2007 this includes undergoing a financial history check in accordance with the BS7858 guidelines. When completing this form please give as much detail as possible to aid your application. By submitting this form you consent to us contacting each of your previous employers and education establishments, including your current employer. Your offer of a position within Serenity Security will be subject to satisfactory results from the screening process. Section 8 of the 1996 Asylum and Immigration Act makes it a criminal offence for any employer to take on a new employee whose immigration status prevents him or her from taking up the post in question. This applies to all types of employment including part-time, temporary and casual appointments. />Any data collected about you will be held securely and access restricted to only those involved with processing your application. Any data you submit will be used to monitor the effectiveness of Serenity Security’s equal opportunities policy. By signing and submitting this application form you are consenting to us using your personal data in the ways stated above. Please upload a photo of yourself. Files must be jpg, png or gif format and not exceed 4MB in size. Please list below details of any previous/current employment (part time or full time). Include any institutes of education starting with your most recent position. You must account for EVERY MONTH in the last five years. Please supply one character referee who we may contact prior to any offer of work being made. The referee must have known you for at minimum the last two years and must not be an ex employer, relative, partner or ex partner and they must not have lived at the same address as you. Do you currently hold a full, clean drivers license? As part of our screening process we ask you to declare any previous criminal proceedings you may had taken against you. Serenity Security comply with the provision of the Rehabilitation of Offenders Act 1974 which states that convictions that have been ‘spent’ must be ignored. Have you ever been convicted, fined, imprisoned, placed on probation, discharged on payment of costs or had any order made against you by a criminal, civil or military court? Do you have any police cautions against you? Do you have any prosecutions pending against you? Have you ever been subject to bankruptcy proceedings, or any outstanding CCJ's? Do you speak any language other than English fluently? Please answer the following questions giving as much detail as possible. 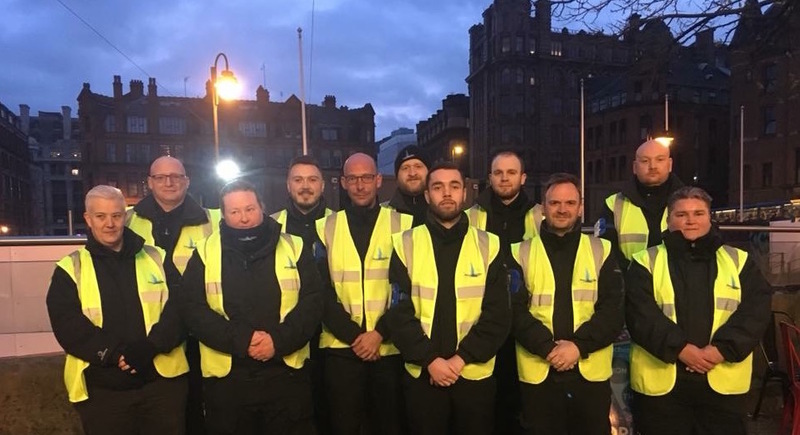 Serenity Security receive a high number of application and we pride ourselves on employing those individuals who show themselves to be above average. Why do you think you would be an ideal candidate for a position with Serenity Security? What is your understanding of the job role? What do you believe are the skills and attributes a Door Supervisor should possess? Serenity Security Solutions Ltd is committed to practicing the principles of Equal Opportunities and endeavours to remain 100% unbiased and fair when considering employment and in the treatment of our employees. Do you consider yourself LGBT+? I understand that employment with Serenity Security is subject to satisfactory references and security screening in accordance with BS 7858. I undertake to co-operate with the Company in providing any additional information required to meet these criteria. I authorise the Company and/or its nominated agent to approach previous employers, schools/colleges/Universities, character references or Government Agencies to verify the information I have provide is correct. I understand that some of the information that I have provided will be held digitally and some or all will be held in manual records. I consent to the Company’s reasonable processing of any sensitive personal information obtained for the purposes of establishing my medical condition and future fitness to perform my duties. I accept that I may be required to undergo a medical examination where requested by the Company. Subject to the Access to Medical Records Act 1988, I consent to the results of such examinations to be given to the Company. I understand and agree that if so required I will make a Statutory Declaration in accordance with the provisions of the Statutory Declarations Act 1835, in confirmation of previous employment or unemployment. I hereby certify that the information that I have given in the above sections are accurate and complete to the best of my knowledge and I understand that any omission or false information to the Company will result in instant dismissal without notice. I understand that this application form may be copied during the application process but if unsuccessful all data will be retained for at least 6months and then destroyed. If successful, the data on this form will be transferred to a personnel record within the company (Data Protection Act 1998). I also understand that my references will be contacted before any offer of employment.